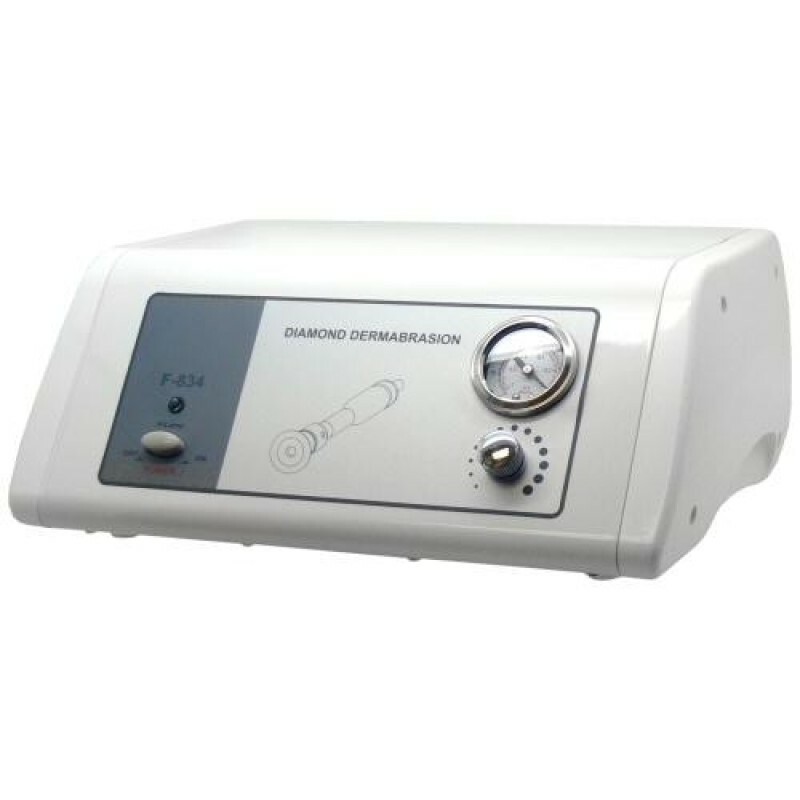 Promote a radiant complexion when you use the Diamond Dermabrasion Unit F-834 from Natali Products! 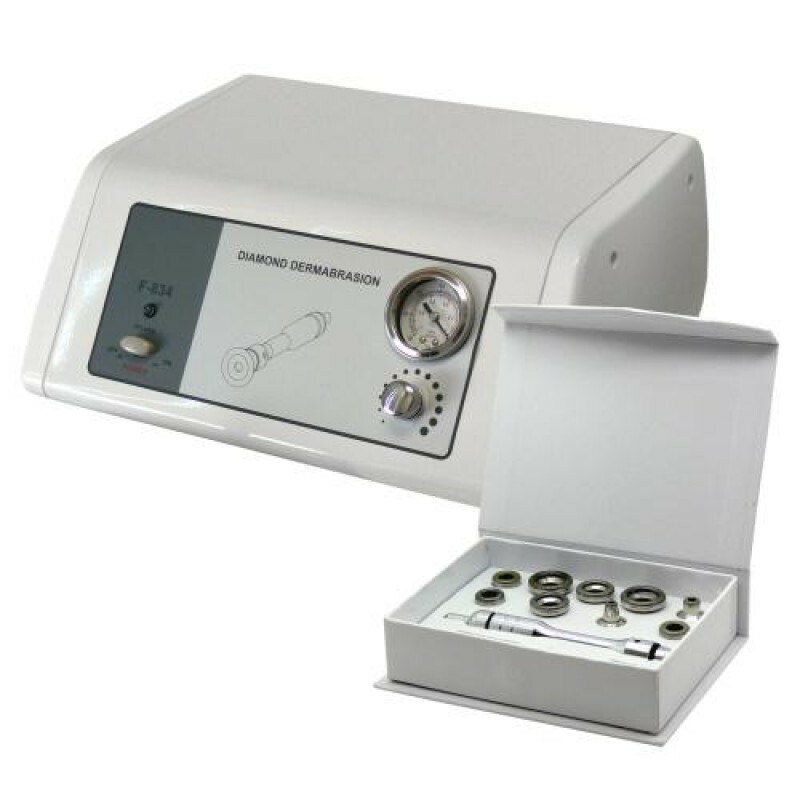 This state-of-the-art diamond dermabrasion machine effectively exfoliates your client’s skin without the need for crystals and promotes skin elasticity for a complexion that appears more youthful. 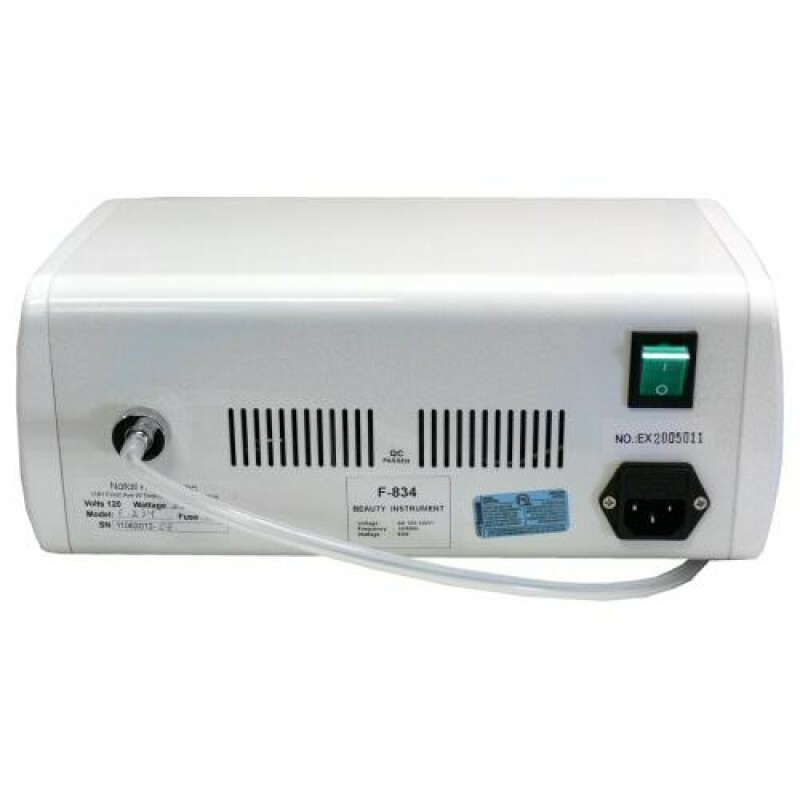 The front of the compact and portable device features the On/Off switch, a power light indicator, a customizable dial to lower or increase suction, and a negative pressure indicator. 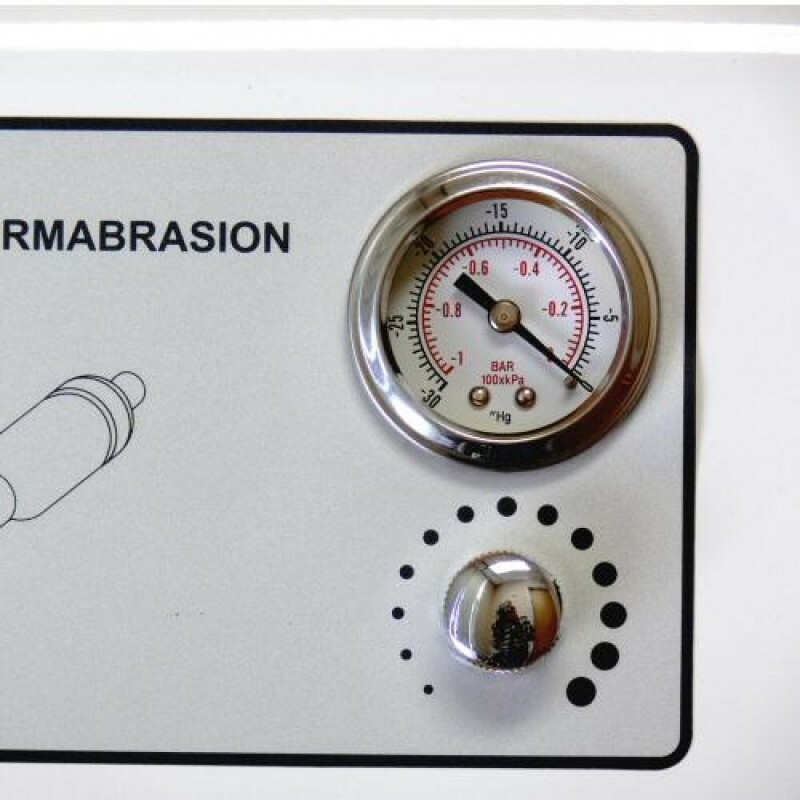 With this dermabrasion machine, you’ll get 2 handles. 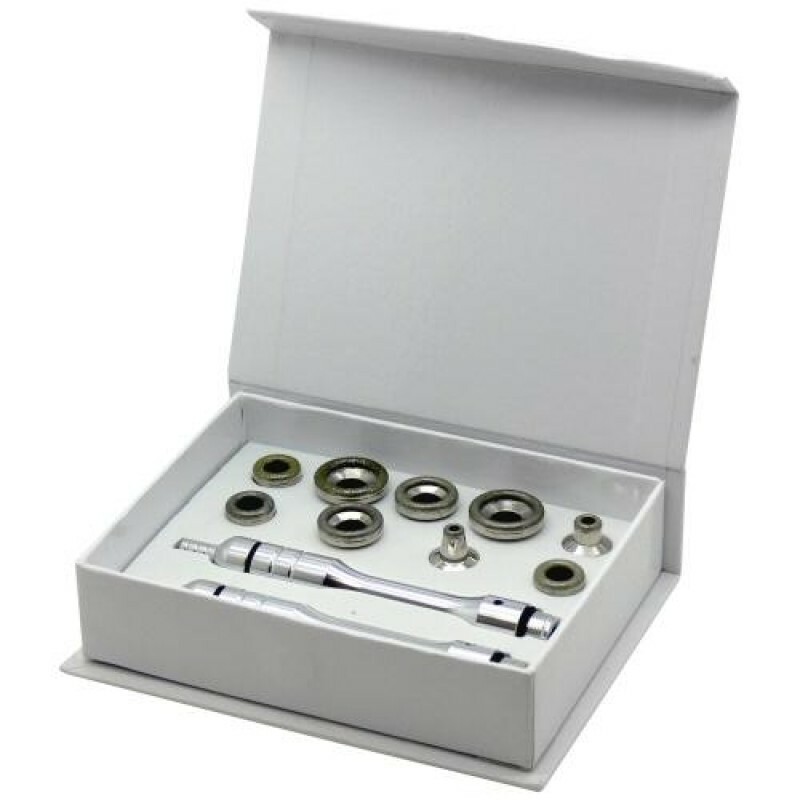 You attach one end of the handle to a clear tube, which is connected to the unit. You then screw on a diamond attachment tip to the other. Included are 9 reusable round diamond attachment tips with varying coarseness, which allow you to choose the best one to suit your client’s skin. 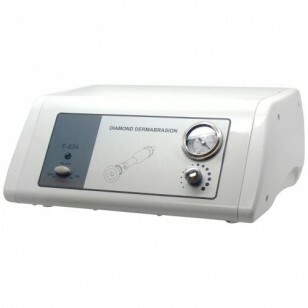 It also comes with a power cord plus plenty of extra filters and sponges to be used inside the handle for the best results. 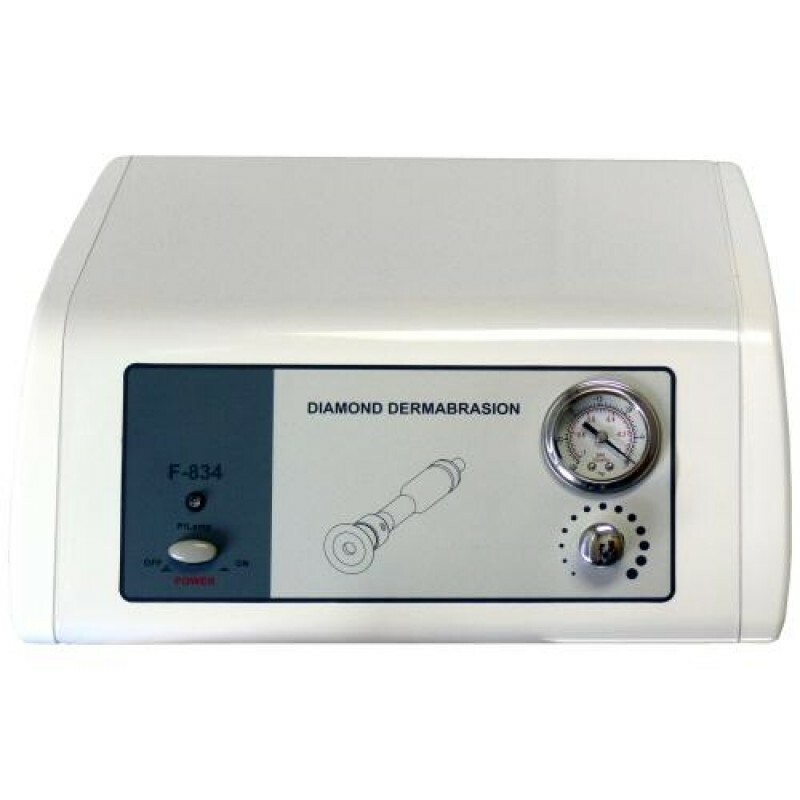 Purchase the Diamond Dermabrasion Unit F-834 from Natali Products today, and don’t forget to shop for all your other esthetician supplies too! 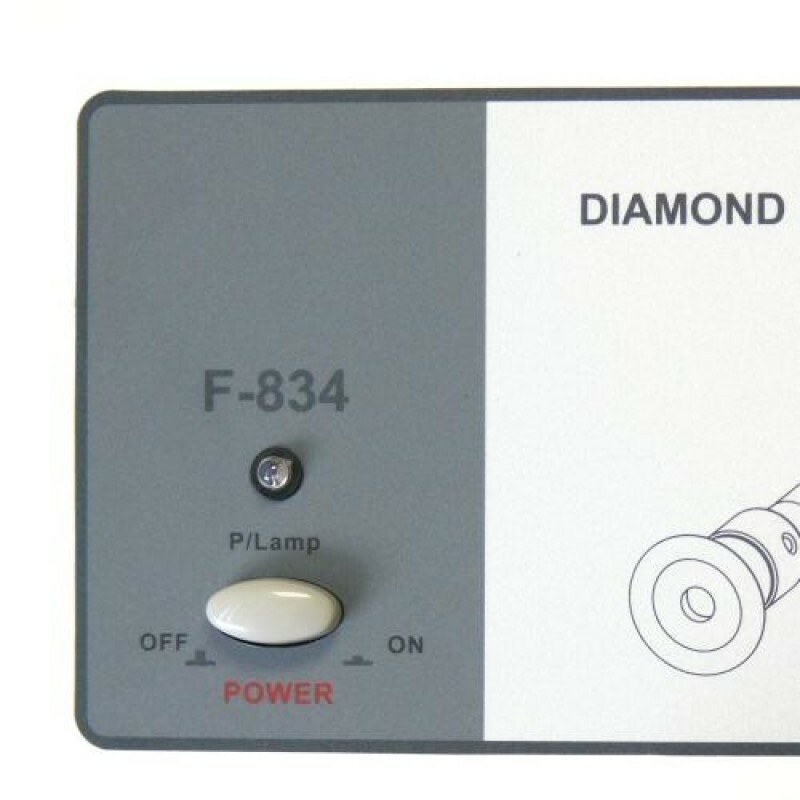 Note: Extra diamond attachments and filters are available for this unit. Click here to view or purchase them!